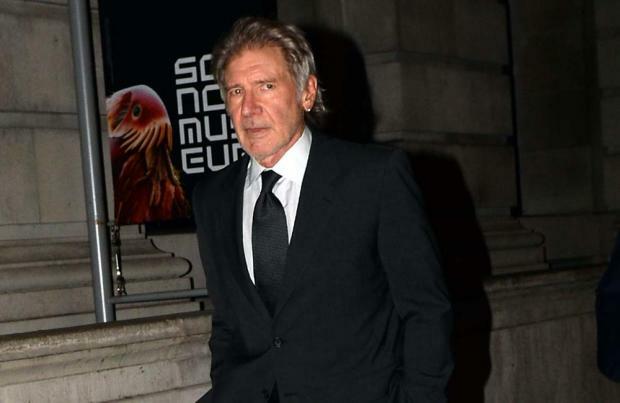 Harrison Ford thinks Han Solo and Chewbacca are like an "old married couple". The 73-year-old actor - who has reprised the role of Han for the JJ Abrams-directed 'Star Wars: The Force Awakens' - has told fans of the franchise to expect a familiar dynamic between his on-screen character and that of Peter Mayhew. Harrison told Empire magazine: "They were very much like an old married couple to start with. I think people will find them very much the same as ever." The Hollywood legend also recalled the moment they were reunited. He said: "It was as warm as fuzzy as you might imagine. It was great to see old friends." Harrison's remarks come shortly after another of his 'Star Wars' co-stars, actress Carrie Fisher, said she accepted she will always be Princess Leia to people "long ago". The 59-year-old actress, who is reprising her iconic role in upcoming movie 'Star Wars: The Force Awakens', said: "I long ago accepted that I am Princess Leia. I have that as a large part of the association with my identity. There wasn't a lot of hesitation (to do the movie)." Carrie also revealed she was delighted to have been cast in the new movie, in part because it's harder for actresses to find work as they age. She said: "I'm a female and in Hollywood it's difficult to get work after 30, maybe it's getting to be 40 now."